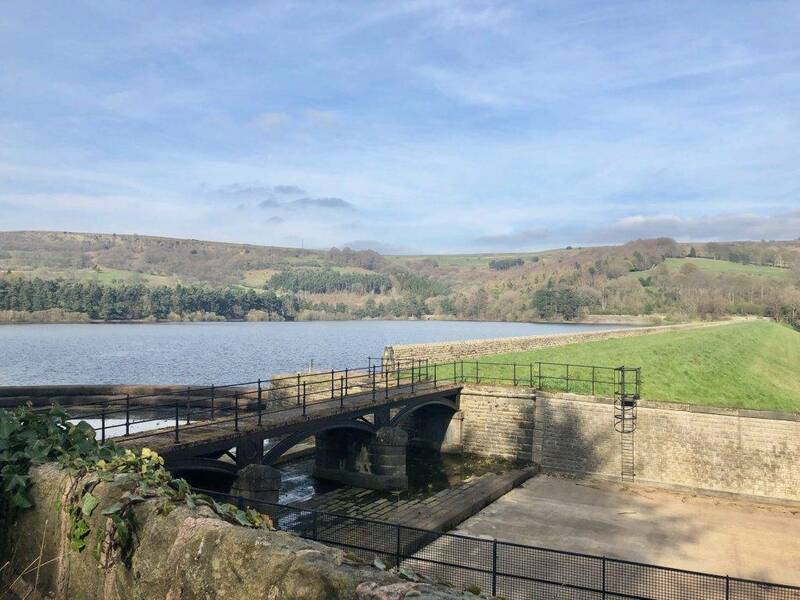 This circular walk takes in a truly beautiful part of the Yorkshire Peak District from the pretty village of Low Bradfield and then around to Dale Dike Reservoir and Agden Reservoir. Dale Dike Reservoir was the scene of a terrible tragedy in 1864, when its walls collapsed soon after construction was completed. 650 million gallons of water surged along the Loxley Valley into Sheffield, killing more than 250 people and destroying hundreds of properties. The reservoir was rebuilt and, happily, the landscape today is peaceful and tranquil. 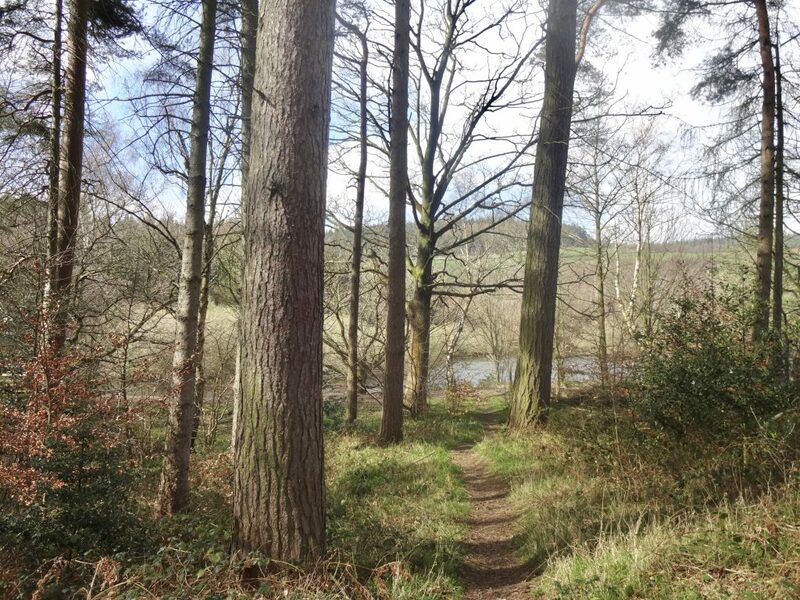 There are wonderful views along the walk, and some great picnic spots along the way. This is a walk of just over 5.5 miles. It uses clearly-marked trails and country lanes and the terrain is relatively level, although there is an option to extend the route which adds a fairly steep uphill section. There are a number of ladder stiles, as well as a squeeze stile. 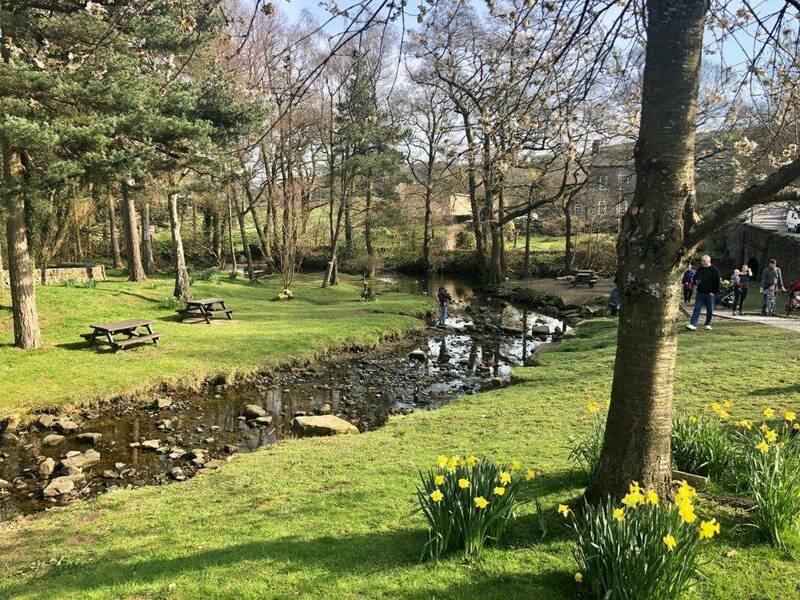 The walk starts and ends at a pub, where patrons are allowed to park in the car park, although there is usually plenty of free street parking available in Low Bradfield and on the lanes close to the start of the walk. Low Bradfield has a café and a pub, as well as public toilets. Allow 3-4 hours to complete this walk at a moderate pace, allowing for rest stops to take in the views. 1. The walk starts from The Plough pub, on the outskirts of the village of Low Bradfield, (SK26387, S6 6HW). To begin the walk, cross over Mill Lee Road and take the public footpath immediately opposite the pub. 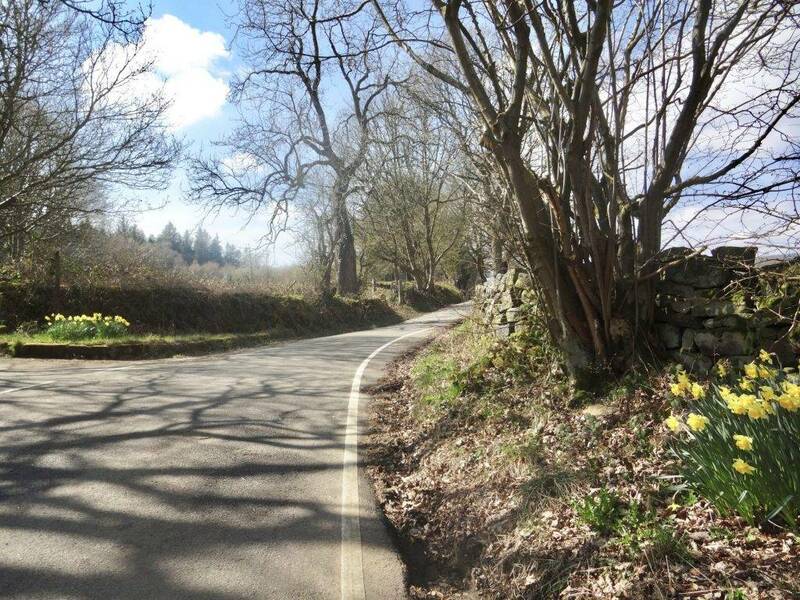 This pretty country lane soon leads you out of the village and past the Bradfield Community Orchard on your right hand side. 2. 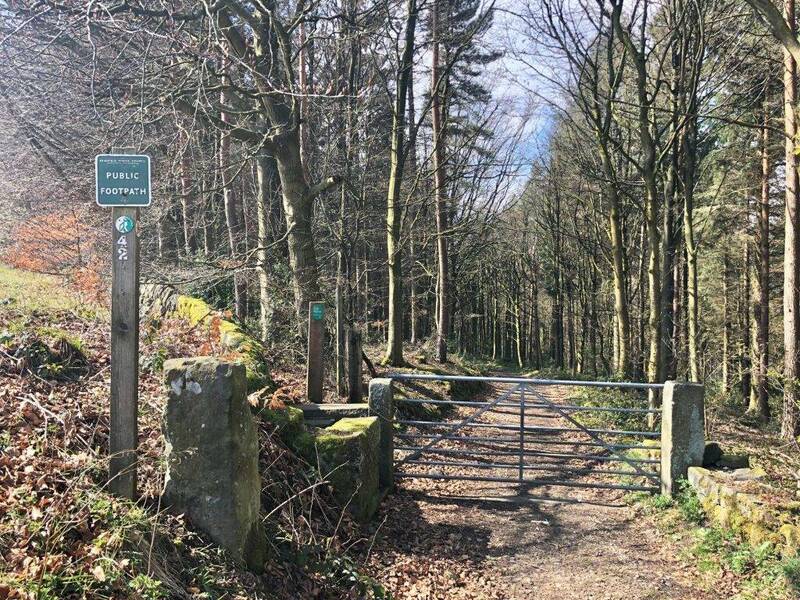 Follow the well-marked path over a series of step stiles and through pretty woodland, until you pass Annet Bridge on the right hand side, crossing Dale Dike. Cross a step stile on to a quiet country lane and turn left, following the lane up. Be aware that there are no footpaths on this section of road. 3. Follow this quiet lane up a slight hill. Soon after passing a cattery, look out for a public footpath on the right hand side leading into woodland, signed Wragg House Plantation. Follow this well-made footpath through the woods, continuing straight on and ignoring a footpath off to the right. 4. 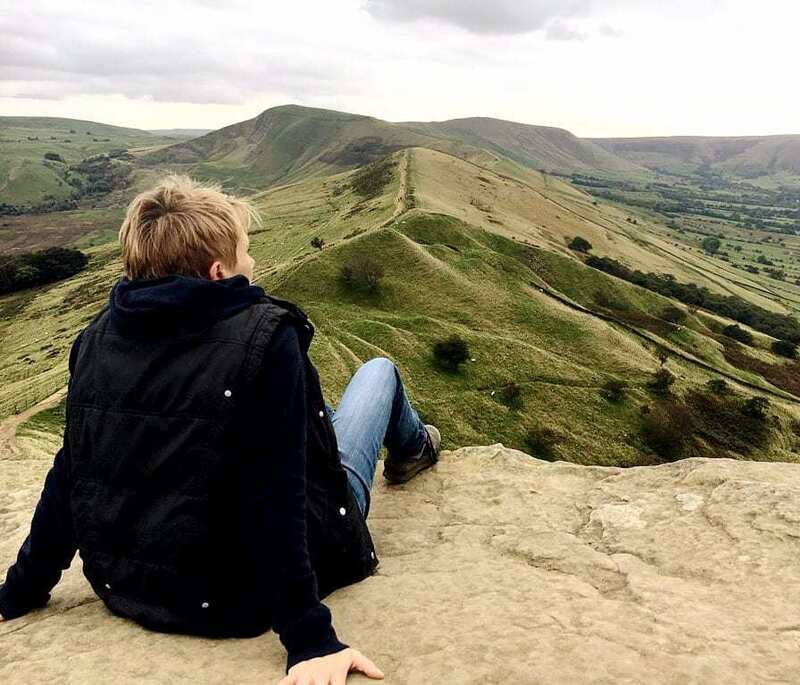 Soon after emerging from the woods, cross another step stile and walk straight on through a grass field, keeping to the right of a stone wall, admiring the views over the Dale Dike Reservoir on your right. 5. At a fork in the paths take the right hand, lower path, leading slightly down towards the reservoir. Follow this path through a succession of fields and gate holes. There is a small but pretty area of woodland along this part of the path, with a well-positioned picnic bench beside a stream. 6. 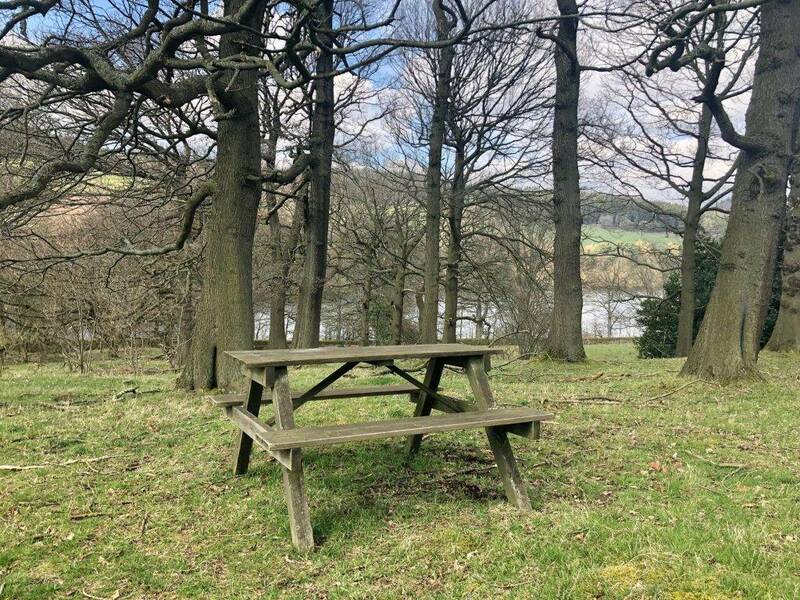 Soon after passing the picnic bench and woodland on your right hand side, at another fork in the path again take the right hand, lower path, leading slightly down towards the reservoir, keeping a line of trees on your left hand side. 7. Pass through a squeeze stile set in a stone wall at the end of this path, emerging into another pretty area of woodland, again with a picnic bench beside a stream. At this junction turn right and cross the tall ladder stile over the wall, leading directly to the reservoir. On reaching the path alongside the reservoir, turn left and cross over a small footbridge. 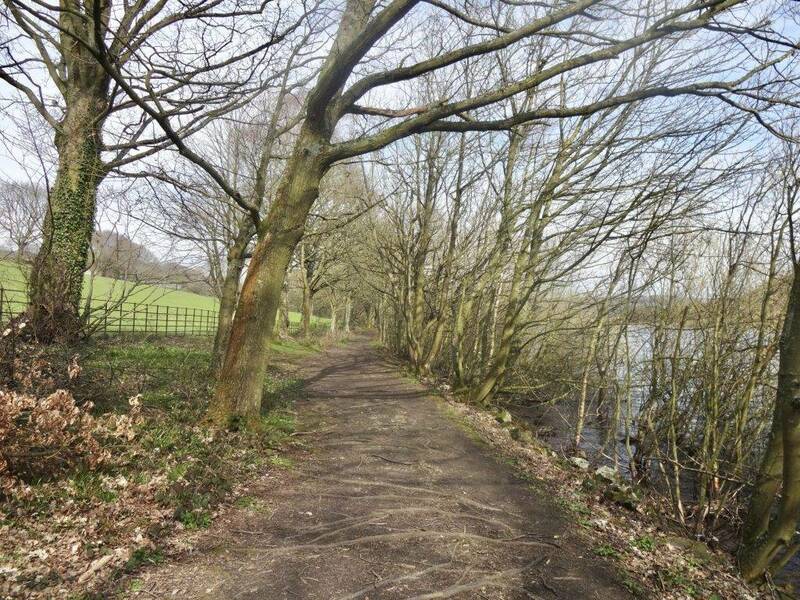 Follow this path as it tracks along the banks of the reservoir, with the water on your right hand side. 8. You will emerge from the path into an open grass field. Turn right here and follow the green arrow markers across the field. At a fork in the path, turn right and cross over a small wooden footbridge to walk back alongside the reservoir on the opposite side. This path tracks through pretty woodland, although it can be muddy in places so do take care, especially close to the water’s edge. 9. Follow this well-made path all the way along the side of the reservoir, until you see the dam wall visible ahead of you. At the end of the path cross through a gate to the left of the dam wall and follow the footpath straight on, passing a memorial to those who lost their lives in the Dale Dike Reservoir tragedy on your right. 10. Continue on this well-made cinder track, keeping straight on and ignoring a footpath off to the right. This path eventually emerges through a gate on to a quiet lane. Turn right on to the lane. 11. At this point you can either continue down the lane and follow it all the way back into Low Bradfield, or extend the walk further to walk alongside Agden Reservoir. 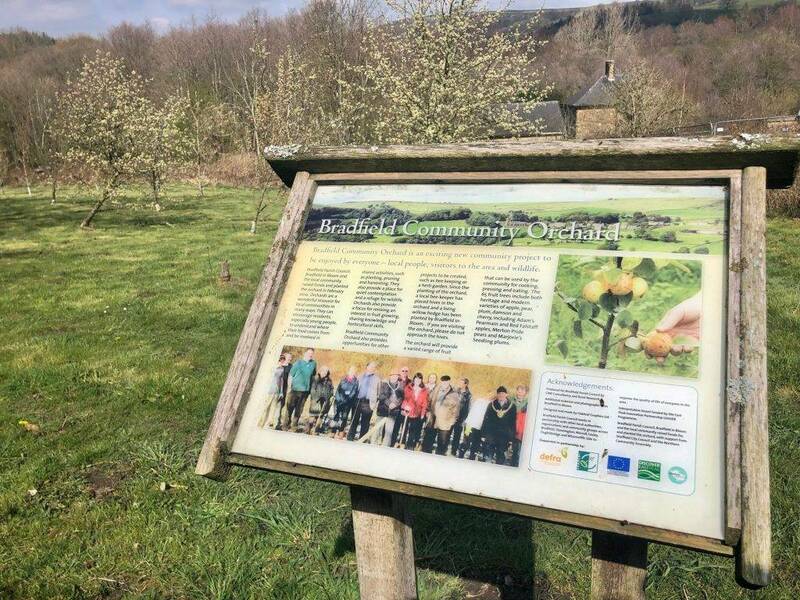 If you decide to continue into Low Bradfield, follow the road downhill as it bears right and skirts around the picturesque village cricket pitch. Continue straight on up the hill to find The Plough pub and the starting point of your walk on your left hand side. 12. If you wish to extend the walk, look out for a bridleway off to your left soon after you have emerged through the gate on to the quiet lane. Follow the bridleway up, keeping to the right of a stone wall. There are some handy gas pipeline markers to show the way of the path. Make sure you pause a while on the hill to look back at the view over Dale Dike Reservoir and Strines Reservoir above it. 13. At the top of the hill pass through a gate, and immediately afterwards turn right to go through another gate into a field. Stay to the top right edge of this field, to the left of a stone wall. Pass through another gate to the left hand side of a metal farm gate, admiring the views ahead of you. Cross an obvious ladder stile over the stone wall ahead of you, and immediately turn left, dropping downhill to a quiet country lane. 14. Turn right on the lane and follow this road as it returns to Low Bradfield. Be aware that there is no footpath on the lane. 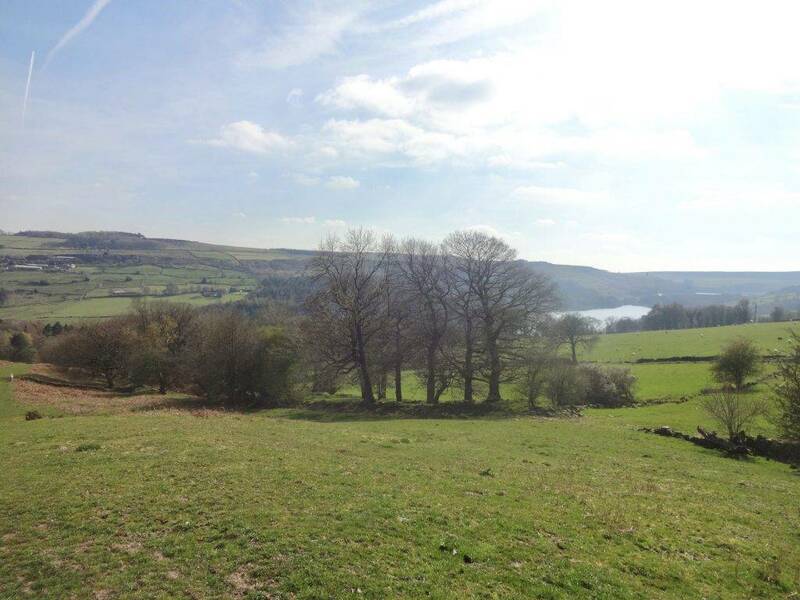 You will soon see Agden Reservoir on your left hand side, and beyond that the village of Low Bradfield ahead and to the left of you. 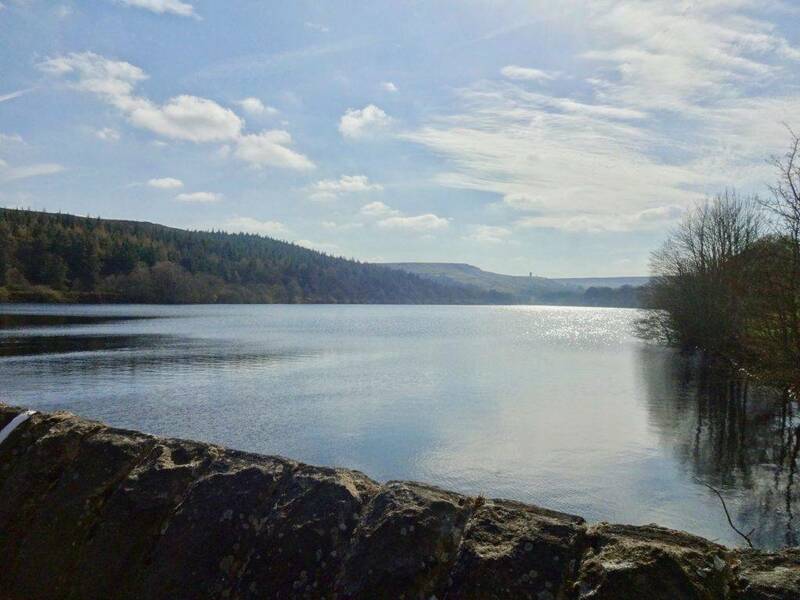 The reservoir you can see in the distance above the village is Damflask Reservoir. 15. At a road junction turn left and follow the signs to Low Bradfield. You will pass the village cricket pitch on your left hand side, and after that a picnic area alongside a pretty stream. Continue straight on up the hill to find The Plough pub and the starting point of your walk on your left hand side.